This variegated leather jacket can be worn 4 different ways. 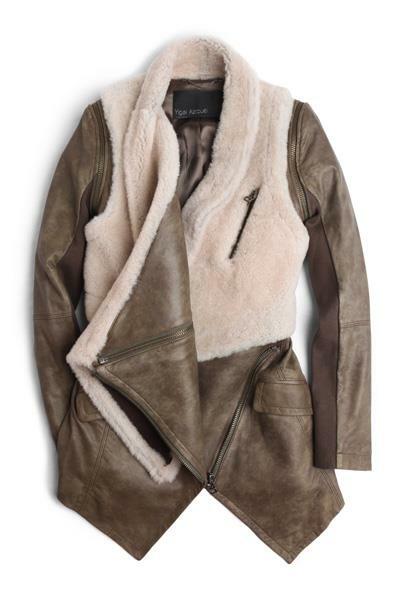 Shearling vest overlay and zip front closure. Zip pocket at bust and flap pockets at asymmetrical, zip-off hem. 6.5″ back vent. Zip-off long sleeves. Lined. * 27″ long, measured from shoulder (includes hem). * 15″ long, measured from shoulder (hem removed).